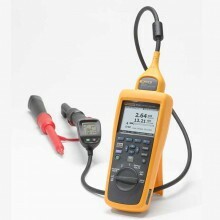 Includes:Fluke BT520 Battery Analyser, 4-Wire Test Pin (Set), BTL10 Basic Test lead (Set), TL175 TwistGuard Test Leads with Adapter, 2x L300 Attachable LED Torches, BTL20 Intelligent Test Probe Set with Extender, Lithium Ion Battery, AC Charger, Mini USB Cable, Shoulder Strap, Belt Strap, Magnetic Hanging Strap, FlukeView Battery Management Software, Soft Carrying Case, 2 x Spare Fuses, 100 x Paper Battery Tags. 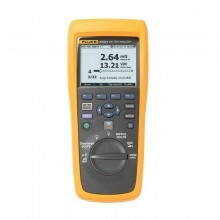 The Fluke BT520 Battery Analyser is a multifunctional meter designed for the test and measurement of a stationary battery system. 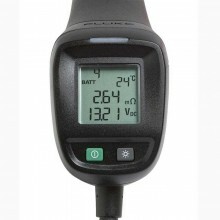 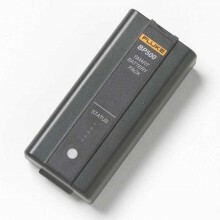 The BT520 can measure the battery internal resistance and voltages. These measurements can be used to determine the overall condition of the system. 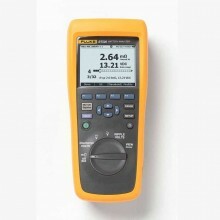 It can also measure electrical parameters for battery system maintenance, including dc voltage up to 600 V, ac voltage up to 600 V rms, and ripple voltage. 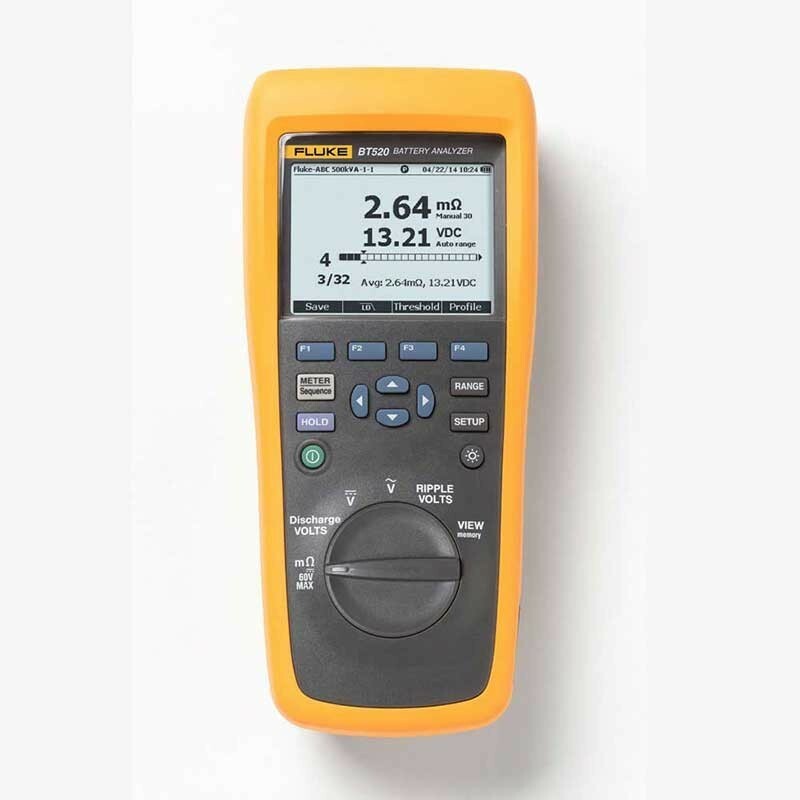 When testing, the BT520 makes configuring testing procedures significantly easier by guiding the user through how to configure the test. 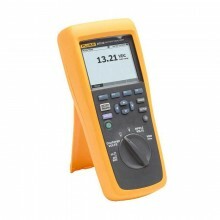 It also includes around 999 record internal memory and is fully downloadable to PC for further interaction with testing data using Fluke's included software package. 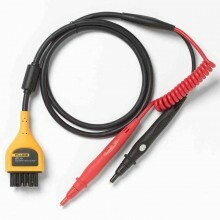 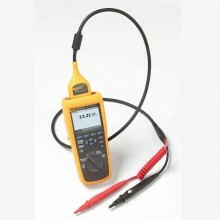 Fluke BT520 Warranty 3 years.